CURRENT Erebus Motorsport pilot and Virgin Australia Supercars Championship driver Anton De Pasquale has joined Australian driver talent program Race Academy International. De Pasquale, who completed his first full season in the ‘main game’ with Erebus Motorsport, will take up a mentor role that will allow him to give back to grass roots motor sport. The Supercars rookie has a long history on race tracks, quickly making a name for himself after being introduced to karting at age 13, having already competed in 50cc and 65cc motor cross racing at a young age. He quickly made a name for himself, taking out Series and State Titles around Australia and in 2011, the Australian Sprint Kart Championship, before a move to Formula Ford in 2012, where he finished second in the Victorian Formula Ford Championship. In that same year, he won the final round of that year’s Australian Formula Ford Championship at Winton Raceway, signing with Sonic Motor Racing for the 2013 Australian Formula Ford Championship, and winning the title. Along with setting lap records at Phillip Island, Homebush and Bathurst, before attention came from overseas, particularly Europe and the USA. After testing in Florida, USA in late December the decision was made to sign with Lechner Racing in Europe for 2014. He joined the Formula Renault 1.6 Championship, a staging ground for young drivers and a stepping stone for the path into Formula 1. Against all odds the rising star went on to win the Championship after winning 11 of the 15 races. In 2015 he raced in five rounds of the Formula Renault 2.0 Eurocup, before he returned to Australia where racing legend Paul Morris signed him to race in an older spec car in the 2016 Dunlop Series, netting 11th in his rookie season and a podium at Bathurst. In 2017, Anton campaigned a Falcon FGX, taking two round wins at Phillip Island and Sydney Motorsport Park and finish fourth in the Championship, with the results offering him the next logical step in his career. 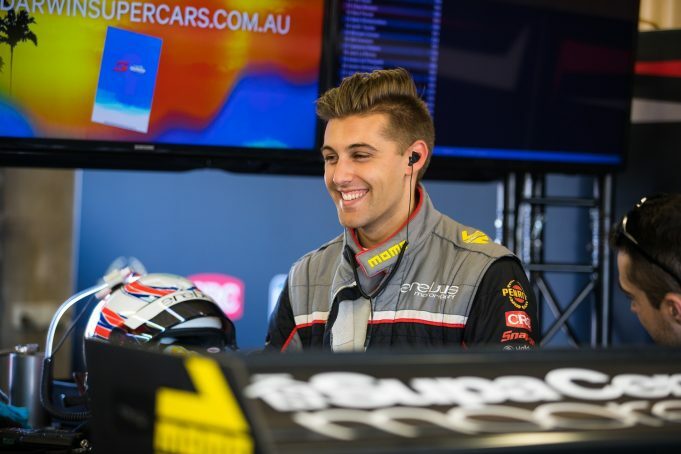 After successfully completing a Rookie Day with Erebus Motorsport, Anton was signed to drive alongside David Reynolds in the #99 ZB Commodore in the 2018 Virgin Australia Supercars Championship. Anton De Pasquale joins the driver talent program as one of its key mentors. “It’s great to be able to join RAI and work closely with the contestants,” Anton said. “When I was starting I always valued those around me and was lucky enough to have some really accomplished people. So to be able to hopefully do something similar will be rewarding,” he added. He will be on hand at the competition’s first track day on 28 March 2019, where entrants will learn what it takes to make it to the top of the motor sport mountain in Australia. “It’s exciting to have someone of Anton’s talent and calibre on board with RAI,” Race Academy International director Trevor Mirabito said. Entries are open now in each of four categories; Freshman, Clubman, State and Ultra, with a range of prizes on offer, including drives in the 2019 E36 BMW Series, NSW Production Touring Cars Series, and Performax TA2 Muscle Car series.